Keyes-Davis Metal Markers have positive identification with minimum labor, are permanent and will withstand the elements, abrasion and corrosion. Common uses include: coding, instructions, warning, banding, grouping and tying. Markers are cleanly blanked from the finest materials and will last years under normal usage. 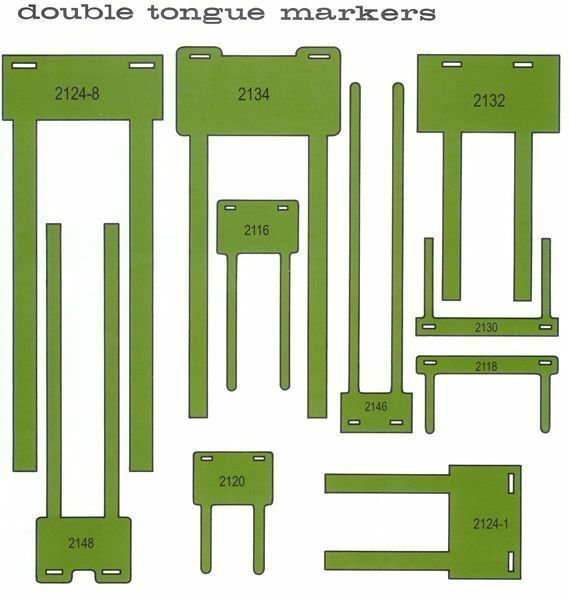 Metal Markers are primarily used by the OEM Electrical and Electronic trades as well as service and field use. Manufacturers of aircraft, controls, cables, motors, panel boards, autos, missiles and ordnance have also found Keyes-Davis markers a valuable asset to their products. Markers Manufactured to government specifications MS39020 & MIL B.43436 on request.